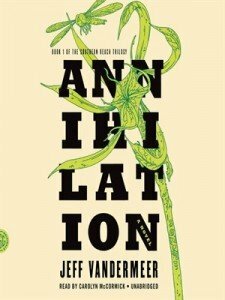 Our interview with Jeff VanderMeer, the writer of Annihilation, the first book of Southern Reach-trilogy in February 2014. Sfmag.hu: Even before the first novel of The Southern Reach trilogy was finished, publishing houses were already fighting for it, and even the movie rights were sold. What did you need to achieve this? Your two decades of being a writer-editor, or the book and the idea was at the right place at the right time? 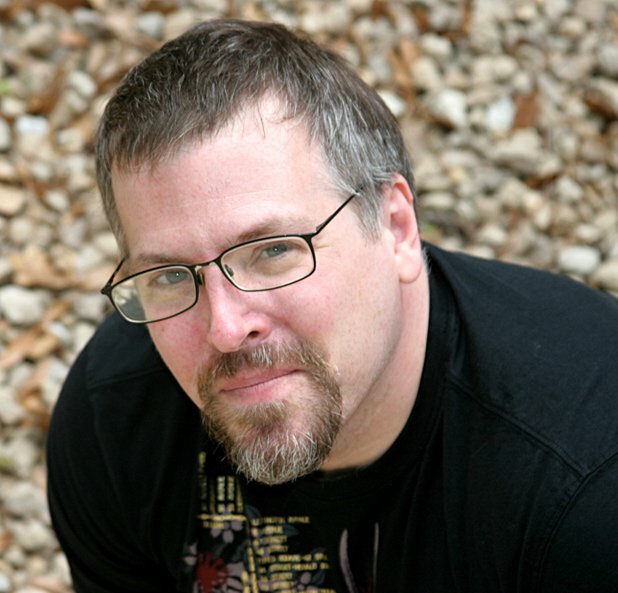 Jeff VanderMeer: The book and idea seemed to be in the right place, but also I have a new agent and a great US publisher in FSG—a dream come true, to be published by them—and I think the fact these books are set in the real world or some version thereof made a difference, too. I love my Ambergris series, but it’s always this funny thing where a general reader comes up to you and asks what you write and you say „Fantasy” and they say, „Oh, like Harry Potter.” Which, if you’ve seen those books…well, let’s just say Harry Potter would not last very long in Ambergris. With the new books the basic situation is very simple: there is a place, closed off from the world, and a secret government agency is sending in expeditions to try to figure out what has gone wrong there. And I must say there is some relief in not having to make up an entire world but to work with the one we have. As an editor, you made an inseparable team with your wife. What is the effect of Ann VanderMeer on Jeff VanderMeer, the writer? She is the first of my first readers, and she is the kind of editor who gives excellent and insightful general and sometimes specific comments. So she reads all of my work. She also was instrumental in taking on projects we were meant to work on together so I could finish these novels. For example, The Time Traveler’s Almanac is coedited by us but she did ninety-nine percent of it. Over time, too, she has done a lot of work behind the scenes on projects like my Wonderbook. I am more impulsive than she is, so she helps ground me—and together we push each other to create the best possible books we can. At this point, I feel as if she is at times a collaborator on the novels, too, as she is the only one who I can just tell part of the story to while I’m working on it, or bounce ideas off of before I complete a rough draft. So I can have some feedback as I am writing–and often the characterization deepens and the plot changes because of her before I get to a draft. But I can’t do this with any one else. If tell anyone else at those stages, I get writer’s block and never finish the story or novel. This is why all of the Southern Reach novels are dedicated to her. Do you have plans for another New Weird anthology with Ann, or what’s your take on the movement today? Did it reach its target, is still in progress, or was it a dead end? That is an excellent question. The New Weird…it is the kind of movement that will always be dead for some and never have existed for some, while being important and useful for other writers who do believe something different was happening in the publishing environment in the UK and US in the early 2000s. The issue of success or failure is a bit unimportant. There were works identified as New Weird, there were whole lines of novels published in translation in places lik the Czech Republic because this term existed. It suggested a more literary path for SF and fantasy, and one cross-pollinated with a lot of different influences. So, it created discourse and conversation and an awareness of how labels on fiction can be useful or harmful. I think it served a purpose. It seems that you began the path towards the more popular literature with a bigger audience with The Southern Reach trilogy. What do you think about this? My career has always been a steady climb upwards, with the usual dips and peaks you get along the way. But I started out self-publishing my first book, then having books published by independent presses, and then by large commercial houses. This feels like a natural next step, and one I’m well-prepared for from over twenty years of seeing perhaps every possible situation in publishing—as a writer, an editor, a publisher, a publicist, an agent, etc. Even better, it is very satisfying—the Southern Reach books are very personal to me. I hope they will be a fascinating reading experience, and touch on something universal, but I haven’t compromised those things that define me as a writer. I’m just expressing them differently now. Would you care to summarize what can we expect in the Southern Reach-trilogy in a few sentences? Where does the story go after the first book? Annihilation is an expedition into Area X. Authority is an expedition into the Southern Reach, via the new director, who comes in and has to clean house, and also figure out some mysteries. As you might imagine, an agency that has been bashing its head against a brick wall for over thirty years has devolved somewhat, and so there’s some dark humor about human institutions, based on my own experiences in the workplace, in Authority—which is also in many ways a thriller. The third book, Acceptance, gives the reader both Area X and the Southern Reach, and we follow many of the characters we’ve met in the first two books as they continue to try to unravel the mystery. I shouldn’t say much more about book three for now, I suppose. Many people recalled William S. Burroughs after Finch, and the names of Lem and Strugatsky came up after Annihilation. Are there any literary works which actually inspired you during the writing of your novels? I understand why—I mean, there is a tactile quality to Finch that is a little Burroughs-like. And Lem and Strugatsky because of the basic situation in Annihilation. But I think by the end of Authority those comparisons will fade away. It’s interesting to me, because my „influences” often come from nature. So, Finch came out of an exhaustive study of the biology of mushrooms, which I find alien. And Annihilation comes right out of studying and living in the habitats here in North Florida, which is very wild—I’ve encountered a Florida panther here, been confronted by a bobcat, had to leap over an alligator, been charged by a wild boar, seen dolphins swimming in the brackish freshwater canals, and many more such incidents. So to me this is what it comes out of, because you can see some very strange things out there… and perhaps also a love for Kafka and Alfred Kubin, among others. When I think of Lem I don’t think of tactile fiction like this, even though I’m flattered his name comes up. I usually write in bursts. So I might write 25,000 words in a week and then spend three weeks editing that, while continuing to write. I don’t really feel the need to be consistent, so long as I’m thinking about the work quite a bit every day. I wrote my first story when I was 8 and it was a retelling of an Aesop’s fable about two antelope, I believe. I had written a lot of poetry before that. Then I went back to poetry, and as a teenager I rediscovered fiction. I published my first story in a literary magazine when I was 13 or 14, and when I was 18 I started to make bigger sales to established magazines like Asimov’s SF Magazine. I never thought of myself as anything other than a fiction writer, but it soon became clear that the stories that I believed were perfectly normal…other people thought were more fantastical. In your opinion, what’s the possible future of genre literature? Can someone have an idea on the next great trend and on what’s going to be a big deal in 2014? I don’t think so, except I believe writers need to engage more with the ecology of our planet and what we’re doing to it. Not in a didactic, preachy way, but even in just the descriptions of places. I find a lot of fiction doesn’t seem to even acknowledge the damage we’re doing to every-day environments. Do you have plans for writing non-fiction books like Wonderbook or Booklife? What’s so appealing for you in such books? Another coffee table book, The Steampunk User’s Manual, will come out from Abrams Image the end of this year—the last steampunk project for me. I am steampunked out, but this one has some cool general retrofuturism in it, so I’m excited. After that, probably another one, but I don’t know the subject yet. I’m a very visual person—my mother is an artist—and so I jumped at the chance to start doing these kinds of books. Wonderbook was a dream come true—to have complete artistic control and to create something so full of art and of so many voices. It is not quite as personal as the fiction, but it is still exciting and energizing. Cheeky Frawg Books offers a wide variety of translations and “rediscovered” classic authors. Most of the translations are in Finnish. Why the Finnish? Is it merely a coincidence, or something very interesting is on the move in that area? It kind of just turned out that way—we’ve visited several times, they have a strong SF/F community, and they have a government that gives out a lot of translation grants, all of which helps. We have a lot of intel about writers in Finland, too. But it goes in spurts. We’re now looking at parts of Latin America, and we’re interested really in all parts of the world. It’s likely an upcoming project will be a million-word antho of one hundred years of SF, and we would want input from everywhere, tr y to represent as many countries as possible. The dream project is a three-volume, three-million word anthology of world fantasy from the last century or so, with substantial new translations from just about everywhere.